Why live in Leicestershire, Rutland, Warwickshire, West Midlands, Derbyshire or Staffordshire? There is something for everyone across these six fantastic counties. Whether you’re the urban or rural type, you are guaranteed to find some fantastic locations across these counties. A cosmopolitan city, historic market towns and miles of beautiful countryside are just some of the highlights of Leicestershire for those looking to live in this popular county. As England’s smallest county, Rutland has a lot to offer for many looking for their ideal property. Rich with charming country villages and beautiful rural hideaways, it is a great location for those looking for a peaceful little place to make their home. 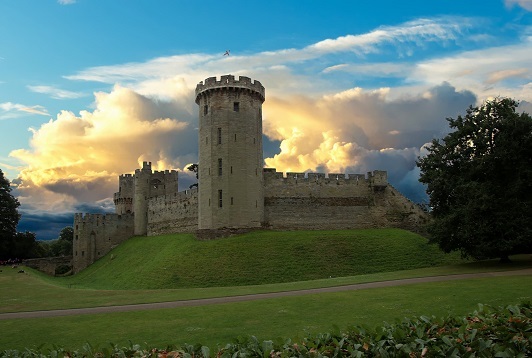 Home to famous playwright, William Shakespeare, Warwickshire offers a lot of fantastic locations. If you like Tudor fronts and Victorian houses, this county is full of historic market towns that boast breath taking scenery. The West Midlands, however, offers a completely different package to the quieter counties as it contains thriving cities such as, Coventry, Wolverhampton and Birmingham. Packed with history, culture and sports, this county is an exciting prospect when property searching. Home to the delightful Peak District National Park, Derbyshire has some beautiful landscapes but also can offer something to the more urban property searcher. Derby, the county’s only city, is increasing in popularity as it becomes known as a city of innovation. Staffordshire can also offer you a nice balance of urban and rural living. Whether it’s the beauty of the Staffordshire Moorlands or the vibrant town of Stafford, this county has a lot to offer anyone looking to find their perfect home. Your Move estate agents, across all six of these counties, have a comprehensive network of branches in key areas, which offer a complete property services solution; whether you are buying or renting, selling or letting.